3 YRS Puning Golden Knit Co., Ltd.
our main products are all types of laces for intimates and apparel products. 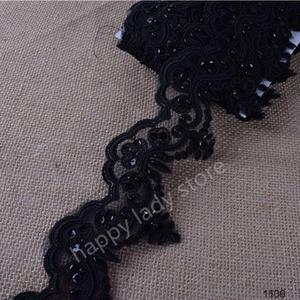 lace type gold color chemical lace sequin lace trim embroidery lace trim for dress item no. 2 YRS Shenzhen Zhenshangmei Garment Accessories Co., Ltd.
11 YRS Guangzhou Keering Imp.& Exp. Co., Ltd.
we also do customized products, cooperated with some brand enterprise like zara, m&s, s&rsquo;oliver, minnetonka, etc. 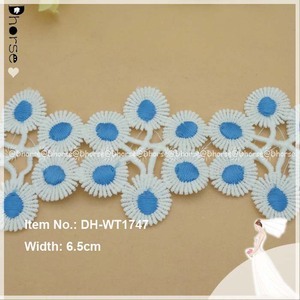 * this lace trim is perfect for wedding ceremony decoration, apparel, curtain, home decor , hairband, etc. We are one of the biggest garment accessory markets in Asia. 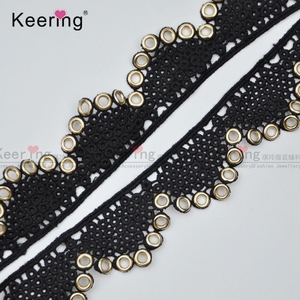 Our main products: Hand-made products (such as neck pieces, motifs, patches, beaded trims, shoes ornament), rhinestone series (such as buttons, brooches), flower laces. We not only have our own factory to control goods quality and delivery, but also with many good professional factories partner to enlarge our offer range and shorten our delivery time. 1 YRS Guangzhou Hardy Clothing Co., Ltd.
2 YRS Guangzhou Shangbi Chen Trading Co., Ltd. Ideal for Sewing, wedding dress, scrapbooking, card making, dolls, hair bows,gifts, bags,bridal, dress, crafts, belts, hat decoration,etc. , ltd , founded in 2016 engages in garment accessories and has 4 years experience, mainly engaged in the design and development of garment accessories. 24-hour service Salient is built with a responsive layout, which means it automatically. material/composition polyester,organza techniques embroidery color according to customer requirements type lace trimming style embroidery design lace no. if you place the order , we will return those cost to you. 3 YRS Guangzhou Tanchang Textile Co., Ltd.
You approve our sample, and get the testing report if any necessary. We arrange customs clearance documents and send copies to you by email. 2, Select our responsible workers in our factory to produce the goods. 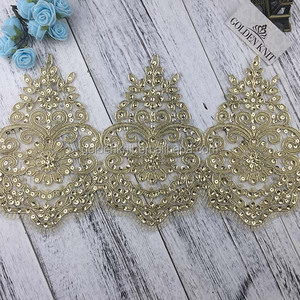 about us guangzhou shidao commerce trading co., ltd. is one of the leading fashion accessory and embroidery lace&trim manufacturers and exporters in guangzhou, china. we have our own manufacturing units and handmade firms. 4 YRS Guangzhou World Trims Co., Ltd.
3. OEM Service : Can be customized as per sample or pictures. 2. Good Service: We treat clients as friend. 3. Good Quality: We have strict quality control system . more product detail information can be checked through our website. we believe that development stems from innovation, that to start a partnership with our company will bring a win-win development to both our customer and to us. 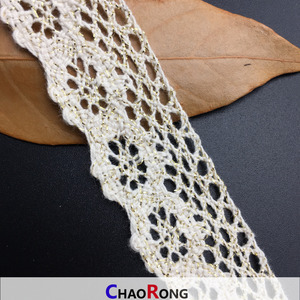 9 YRS Shenzhen Missu Textile Co., Ltd.
and we are stronger in cotton lace trim as below, we have large different kinds of designs, our design is fashionable and novel, we also can make samples as buyer's request by foc. our lace products including as below, welcome all contacts from all over the world. 2 YRS Shaoxing Kunneng Textile Co., Ltd.
2.Q: HOW MANY WORKERS IN FACTORY9 A: We have more than 100 peoples. 4.Q: HOW TO GET A SAMPLE9 A: Just give us requirement and i will send sample to you. 7.Q: HOW LONG TO DELIVER THE PRODUCTS9 A: The exact delivery date need to according to your quantity. 4 YRS Shaoxing Beco Textile Co., Ltd.
2&gt; Free samples are available. 3&gt; 100% QC before shipments. 6&gt; Small orders accepted with multiple designs. branch office is located in guangzhou . 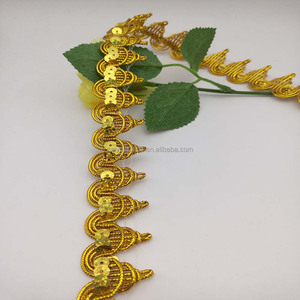 if you are buying in bulk for an occasion, we offer you wholesale price. sample d evelopment any real exact products or image of the products are welcomed by us to make sample for you. click our company profile, which would make you to make a choice. 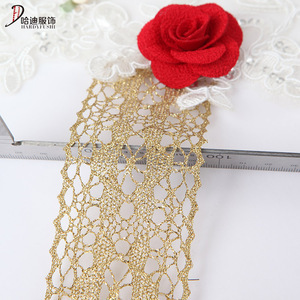 2 YRS Guangzhou Xiaomei Garment Trading Co., Ltd.
Alibaba.com offers 3,960 gold trim lace products. About 70% of these are lace, 1% are knitted fabric, and 1% are embroidered fabric. 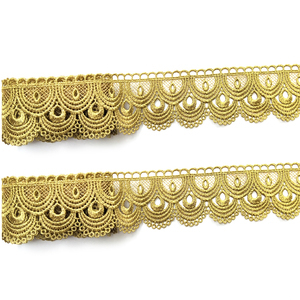 A wide variety of gold trim lace options are available to you, such as eco-friendly, water soluble, and elastic. You can also choose from 100% cotton, 100% polyester, and spandex / nylon. As well as from jacquard, crocheted, and embroidered. And whether gold trim lace is lace, webbing, or ribbons. 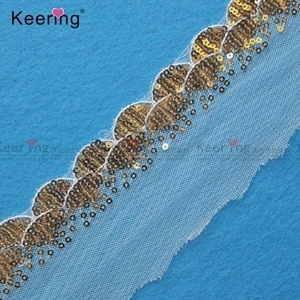 There are 3,960 gold trim lace suppliers, mainly located in Asia. The top supplying country is China (Mainland), which supply 100% of gold trim lace respectively. 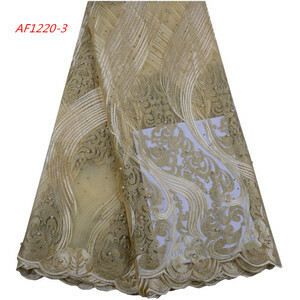 Gold trim lace products are most popular in North America, Western Europe, and South America. You can ensure product safety by selecting from certified suppliers, including 337 with Other, 80 with ISO9001, and 33 with TL9000 certification.